By Cindi Myers, Bell Bridge Books, 2012, 241pp, Fiction. ISBN 978-1-61194-082-4. This book was given to me a few years ago by our very own Bob Wybrow, who had received it from America but thought he would never read it. I could tell why. The subject matter has a distinctly feminine feel to it, but worst of all... it’s fiction!! My first impression, largely based on the front cover, was that the ‘woman’ in question most likely worked in a saloon. I suspected she had fallen in love with the devil-may-care Jesse following a chance encounter after one of his robberies and that she often boasted about her largely imaginary relationship to other girls who would tell her how bad he was but she wouldn’t listen. I doubted Jesse felt the same about her and it was all bound to end in tears. If I’m honest, I wasn’t planning on reading it either. But then I noticed something that intrigued me; the tagline didn’t quite fit my first impression and I soon discovered that, far from being the subject of a chance encounter, the woman in question was no less than Jesse’s wife, Zee! Zerelda Amanda Mimms James has always been a bit of a mystery. 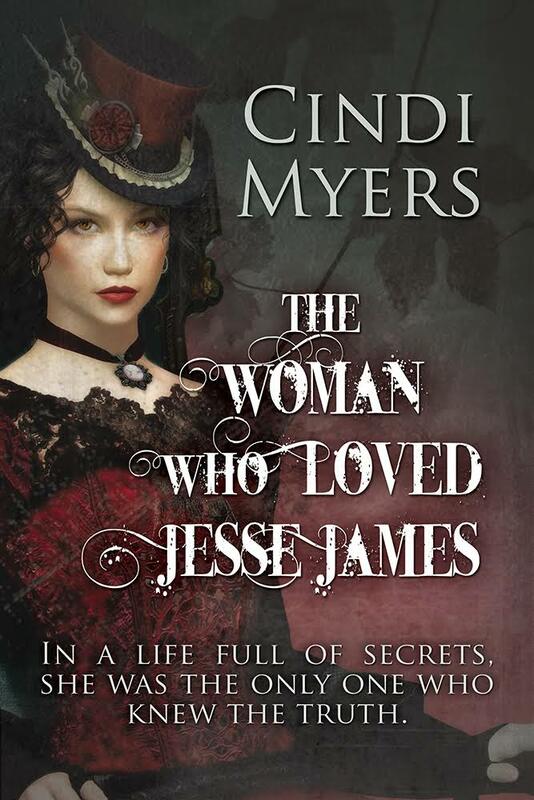 Most historians agree that she fell in love with Jesse James, her first cousin, in 1865, after he arrived at her father’s home desperately wounded following a clash with some Wisconsin cavalrymen near Lexington, Missouri. But few have understood why she married him nine years later, and her unwillingness to talk to the media has made her all the more intriguing. Hollywood, along with printed works of both fact and fiction, have offered confused versions of her, from the adoring yet totally oblivious wife to the kind of soul mate who would share Jesse’s vision and help him as he set about waging his war. There was at least one lawyer who offered his services to Zee after Jesse was killed, in the event that she was arrested for complicity in his crimes. A book then that chronicles what it might have been like to be the wife of Jesse James piqued my interest. On reflection, the opening comment that ‘any resemblance to actual persons (living or dead), events, or locations is entirely coincidental,’ is an unfair necessity to such a volume as a preliminarily flick through the pages saw evidence of a fair degree of research and several names belonging to history. The love that is sparked by their meeting at a family wedding and then continued after Jesse is brought, dying, to her father’s house is beautifully done, although Jesse’s journey from Missouri to his exiled family in Nebraska and then back to Missouri so he could die at home, stopping at Zee’s father’s home on each journey due to his inability to make the entire journey in one go, is compressed to no doubt keep the story flowing. A small price to pay perhaps. As their relationship deepens, leaving very little to the imagination, so too do Zee’s fears for herself, her family and the man she is falling in love with. I must admit that it was often difficult to imagine the Zee in this book comparing to the real Zee we see in pictures, but the author takes full advantage of our limited understanding of her. And it works. The (very) intimate moments between Jesse and Zee provide a scaffold for everything else, while the author rather brilliantly remains true to one of Zee’s greatest strengths – her ability to give nothing away. To that end, she reads articles about Jesse’s exploits but never asks him about them. Meanwhile, the death of the twins, a visit to the Philadelphia Centennial Exposition, the Tennessee court cases, the moments Jesse ventures home and the long hours she waits anxiously for news of him, the times she reads the newspapers, lies to friends, overhears conversations, frets over his bouts with malaria, and anxiously hopes for amnesty, are all given centre stage where customarily they are relegated to temporary distractions, spacers if you will, for robberies. There are some unfortunate errors that distract from the narrative. The bombing of the James Farm is cited as 25 January 1874, not 1875, Jesse and Zee’s fourth child, Mary’s, birthday is cited as 17 June when it should be July, there is a rather annoying conflict between Jesse and Jessie, but overall I found it interesting and thought provoking in a way that only fiction can be. It will not be to the taste of every member but for anyone interested in the men behind the Legends, this is a fun addition.